The development of the economic globalization makes the global sourcing extend to all parts of the world, global procurement has certain advantages, but the inevitable risk also exists, during the global sourcing process, companies must face these risks, take active and effective to mitigating risks. With the rapid development of economic globalization, the economic dependence among countries around the world has gradually strengthened. Global Sourcing Based on the search for suppliers worldwide has gradually extended to all parts of the world. The front end of the supply chain extends to low-cost countries and regions, which is conducive to obtaining satisfactory raw materials and products. Global procurement not only brings competitive advantages to enterprises but also increases the risks of enterprises. This article discusses the global sourcing risks and the measures to minimize them, which can provide the reference for enterprises to implement global sourcing. Global sourcing is a process of sourcing goods and services from international countries across geopolitical boundaries. The main purpose is to exploit global efficiencies such as lower cost skilled labour, inaccessible raw materials and other economic factors like tax breaks and low trade tariffs. For a variety of reasons, procurement manager at many companies is considering whether or not they should be buying products from international sources. Global sourcing needs to face the rapidly changing global market environment, so there will inevitably be more risks and uncertainties. It is very important to understand the potential risks of supply chain and make a scientific assessment. Global sourcing entities usually come from all over the world. Due to the differences in language, culture and business practices, it is easy to lead to communication barriers and differences, which affect the cooperation between the two sides. Many companies only know local and domestic suppliers, relatively little about foreign suppliers, lack of effective assessment of existing suppliers, and have a strong loyalty to existing suppliers, easy to ignore more capable suppliers. Trade barriers and regional protectionism also increase the uncertainty of global procurement. Global sourcing is bound to be affected by the world political and economic situation. Nowadays, the world’s political and economic situation is changing in many directions, and the changeable international environment will make global procurement face enormous risks. Global sourcing generally requires payment of currency exchange, exchange rate changes, communications, travel, letter of credit deposits, international transport and cargo insurance, commissions to import and export intermediaries, and advance payments, which lead to capital overhang, all of which lead to increased capital costs. The shortage of labour and the continuous growth of demand in the export industry have led to an increase in labour costs in many developing countries, as well as a corresponding increase in the technical level of workers in low-cost countries. Professional and skilled workers are in short supply. In order to prevent changes in the market and operating environment, enterprises will have additional inventory to prevent the need from time to time, thus bringing about larger inventory costs. Enterprises purchasing from low-cost countries must also consider potential quality problems such as the cost of responding to environmental, health and safety issues, high claims, returns and shutdowns. Global sourcing suppliers are far away from each other, and buyers are unable to inspect and supervise the quality of products on the spot, or because of inconsistent information, the products provided by suppliers will not meet the requirements of purchasers. Many purchasing and supplying personnel lack expertise in purchasing and supply chain, especially the ability to systematically analyze and solve problems by using supply chain ideas, which is particularly serious in transnational purchasing. Most of the enterprises in developing countries are in small and middle scale. When negotiating with multinational companies, they often have to accept low-price purchasing because of their unequal status. After entering the global procurement system, many enterprises in developing countries rely too much on the marketing channels of multinational corporations, which tends to weaken the cultivation and protection of their own brands. The risk of global sourcing may bring huge losses to enterprises. Active and effective measures must be taken to avoid the risk of global procurement. An excellent procurement performance system can be established to avoid risks from three aspects: resources, processes, and performance. Purchasing professional should not only have good negotiation skills and communication skills, but also master cost analysis technology, understand the global supply market information, and have a good ability to sign global procurement contracts. They can use systematic thinking to analyse problems from the whole supply chain. Establish a sound organizational structure to meet the business development needs of global procurement, and coordinate and cooperate among different functional departments to achieve efficient operation of the organization. Understand the global and local supply of products, assess the capabilities and performance of existing suppliers, understand the information of potential suppliers and the requirements of internal customers and different departments for product information. Purchaser and supplier establish strategic partnership, extend the cooperation between them to the whole supply chain, and establish long-term and stable cooperation. In the procurement contract, the specifications, delivery, quantity and price of the purchased products should be listed in detail. At the same time, penalties for breach of contract, payment currency, exchange rate changes, force majeure and settlement of contract disputes should also be considered. Modern and intensive electronic procurement has gradually become an important way of global procurement. Through the establishment of e-commerce platform, online procurement can be realized, the original procurement mode and scope can be changed, and the new competitive advantage in the Internet era can be obtained. In order to prevent the occurrence of inventory management risks, vendor managed inventory (VMI), locally established strategic suppliers and strategic allocation of procurement quantities can be used. Conduct comprehensive evaluation and performance appraisal of suppliers on a regular basis. It includes supplier’s financial status, global supply capacity, supply chain management, quality, technology improvement and cooperation initiative. To carry out global sourcing, we must understand the laws and regulations of international procurement. There are four major procurement rules recognized worldwide- Model Law on Public Procurement; WTO Government Procurement Agreement; Procurement Directives; and world Bank Procurement Guide. In order to effectively prevent quality risks, purchasers can make clear quality requirements by signing procurement contracts, formulate quality penalty rules, and carry out quality inspection by professional quality inspection agencies before shipment. Through the early intervention of suppliers, buyers and suppliers can jointly develop specifications, and suppliers provide professional technical support. Cost avoidance can be achieved through cooperation between the two sides. When purchasing raw materials or products globally, especially from low-cost countries or regions, attention should be paid to the timeliness of delivery. Use various tracking technologies such as bar code, RFID and satellite technology to timely understand logistics information and ensure timely delivery. Global sourcing is a double-edged sword. While understanding the advantages of global sourcing, we must clearly recognize the risks existing in global sourcing, especially in developing countries, which may face more severe risks. 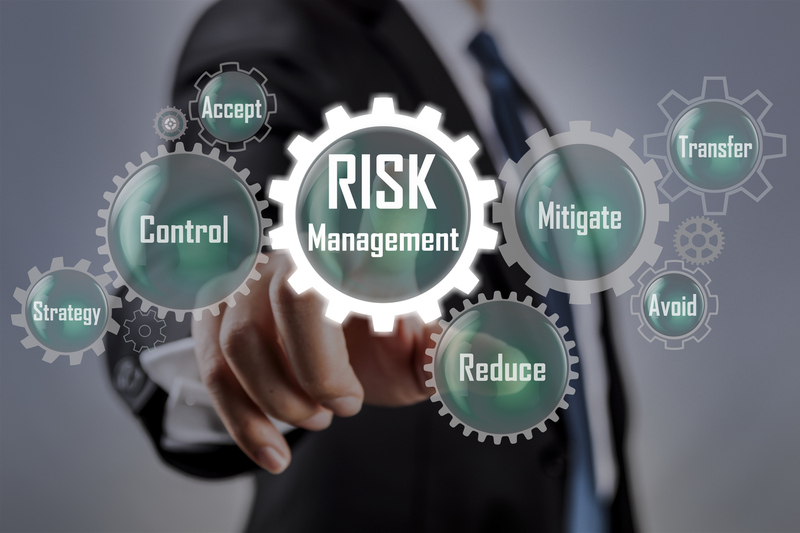 Effective risk prevention measures must be taken to minimize risks so as to reduce costs and achieve good procurement quality in the procurement process. Lau Chee Leng, DPSM. (2018). “Eight Essential Steps for an Effective Global Sourcing Strategy”. Retrieved from SIPMM: https://sipmm.edu.sg/eight-essential-steps-effective-global-sourcing-strategy, accessed 10/03/2019. Nicole Chevrier. (2018). “5 ways to minimize the risks of global sourcing”. Retrieved from: http://www.tradeready.ca/2018/fittskills-refresher/5-ways-minimize-risks-global-sourcing/, accessed 10/03/2019. Peggy Ang Pei Qi, DPSM. (2018) “Key Factors to Consider for Global Sourcing”. Retrieved from: https://sipmm.edu.sg/key-factors-consider-global-sourcing/, accessed on 10/03/2019. Purchasing & Procurement Center. (2017). 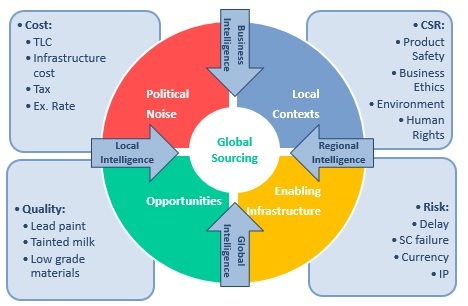 “So What is Global Sourcing?” Retrieved from: https://www.purchasing-procurement-center.com/what-is-global-sourcing.html, accessed 10/03/2019. Wong Jian Hao, DPSM. (2019). “Crucial Factors for global Sourcing of Gaming Devices”. Retrieved from: https://sipmm.edu.sg/crucial-factors-global-sourcing-gaming-devices/, accessed on 10/03/2019. About the Author: Elsa Zhang Chunhao has substantive years of experiences in the professional field of procurement management, and specifically in the Machining and Contract Manufacturing sector. She is a member of Singapore Institute of Purchasing and Materials Management (SIPMM). Elsa holds a Bachelor Degree and completed the Diploma in Procurement and Supply Management (DPSM) course on March 2019 at SIPMM Institute.